TDs are back in the Dáil today to discuss the government’s decision to appeal the European Commission’s Apple tax ruling. 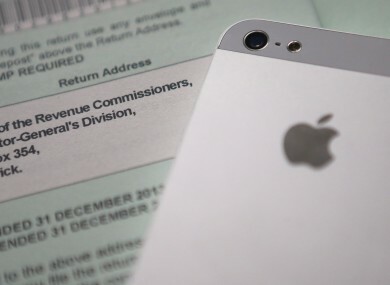 POLITICIANS HAVE CUT their summer holidays short this month to debate the Apple tax debacle. The Dáil was not due to resume until the end of September. However, due to last week’s bombshell ruling from the European Commission — that Ireland should claim back €13 billion in taxes from Apple — Leinster House will be back in action today. Refurbishment of the chamber were speeded up over the weekend to ensure Dáil facilities would be up and running for an unexpected sitting. TDs are set to debate the government’s controversial decision to appeal the European Commission’s ruling over a 10-hour stretch today. The 10-hour debate comes after Ireland’s response has already been mapped out by Enda Kenny’s partnership government. The Cabinet made the call after seeing the full commission ruling last week. Not only has the decision already been made, but criticisms have been levelled at government by the opposition that the full commission ruling is yet to be published. Only a handful of people have set eyes on the 150-page report which relates to the tech giant’s revenue and tax affairs. Other than those at Cabinet, TDs have not been privy to the document which has been described as ‘commercially sensitive’. The majority of deputies who we will hear from today have had no access to the report and will have very little (or no) say in future decisions. Is this showmanship at its best and a waste of TDs time? Minister for Transport, Tourism and Sport Shane Ross said last week a redacted version of the ruling should be published in the coming months. It’s understood fears were high last week that the report would be leaked. This resulted in each copy being watermarked with the name of each recipient. As the government perceives the report to contain highly sensitive information, it was not provided to all TDs ahead of the debate. Instead, a briefing document was circulated to all members of the Dáil. That document, which was sent to members last night, contains information relating to the background of the case, but does not go into specific detail. Although opposition TDs have called for the Dáil recall and a full discussion on the matter, many have questioned holding a 10-hour debate on a fait accompli. Minister for Social Protection Leo Varadkar denies this is the case. “It doesn’t make it pointless. I can understand why TDs and people engaging in the debate would want to see the full 150-page judgement,” he told reporters. Varadkar said it is the norm for European Commission judgements to be published in a six to eight month timeframe. …Even when they do, they are redacted because of commercial sensitivities, privacy questions… so you have a choice. Do you put the debate off for six to eight months, or do you have it now? The minister said it is appropriate for the Dáil to ratify the government’s decision to take the appeal. That doesn’t mean we can’t have further debate down the line when the commission’s decision is published. He predicted the court appeal would take between one and three years. Ahead of the debate today, Varadkar said he was not aware of any other company receiving the same arrangement as Apple in Ireland. I wouldn’t be surprised if they existed. In many ways they ought to exist, because if this arrangement or this decision on how Apple would be treated for tax purposes applied, it would have applied more generally… but I am not aware of any specific company. I anticipate that there are, but I don’t know that for certain. The Dáil debate on appealing the European Commission’s ruling and whether Ireland provided illegal State aid to Apple will begin at 10am. A protest against the government appeal is being held on Kildare Street at 5.30pm. Email “TDs are coming back from their summer holidays early to talk about the Apple tax ruling”. Feedback on “TDs are coming back from their summer holidays early to talk about the Apple tax ruling”.